American Standard Champion 4 HET Right Height Elongated 1.28 gpf Toilet - Allied Plumbing & Heating Supply Co.
SKU: 241AA.104.020. Categories: American Standard, Toilets. Tags: 1.28gpf, american standard, black, bone, Champion 4, elongated, HET, linen, right-height, toilet, white. The Champion 4 MAX toilet from American Standard produces a powerful, effective flush at a water-saving rate of 1.28 gallons per flush, compared to the standard of 1.6gpf. 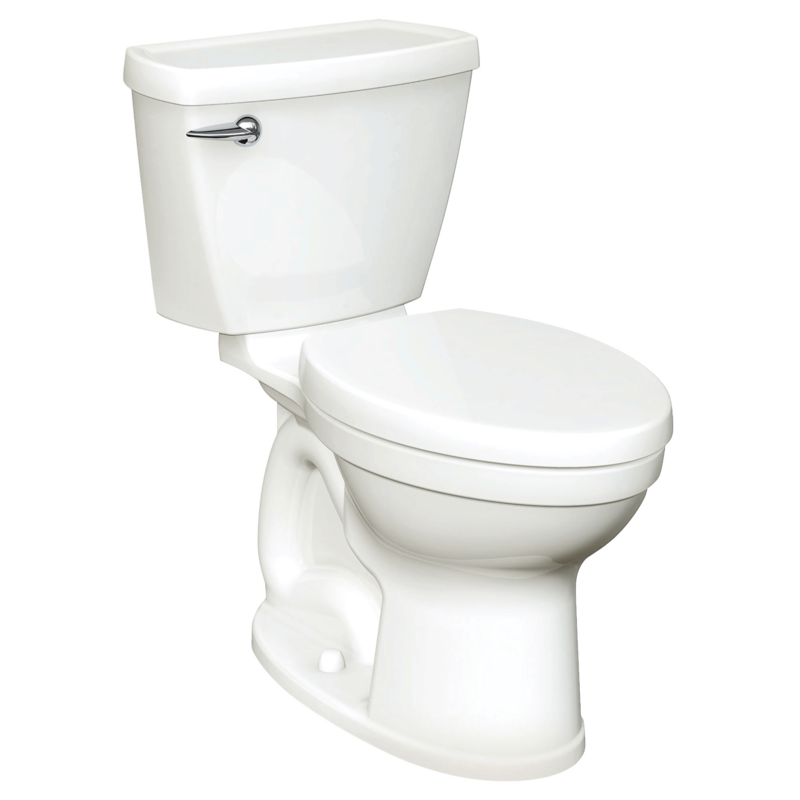 These toilets use the very best in flushing technology, with the capability of moving a 70% larger mass than a standard model to help eliminate clogs. The Champion 4 features an elongated seat and sits at 16-1/2” tall, our Right Height, for exceptional comfort. Our Champion 4 MAX toilet includes our innovative PowerWash rim to scrub the bowl with each flush, and our EverClean surface to help inhibit the growth of mold, mildew, and bacteria to keep odors and stains away. 1,000g MaP Score at 1.28 gpf – Great flush performance moves 2.2 lbs of waste in one flush – the highest score possible!